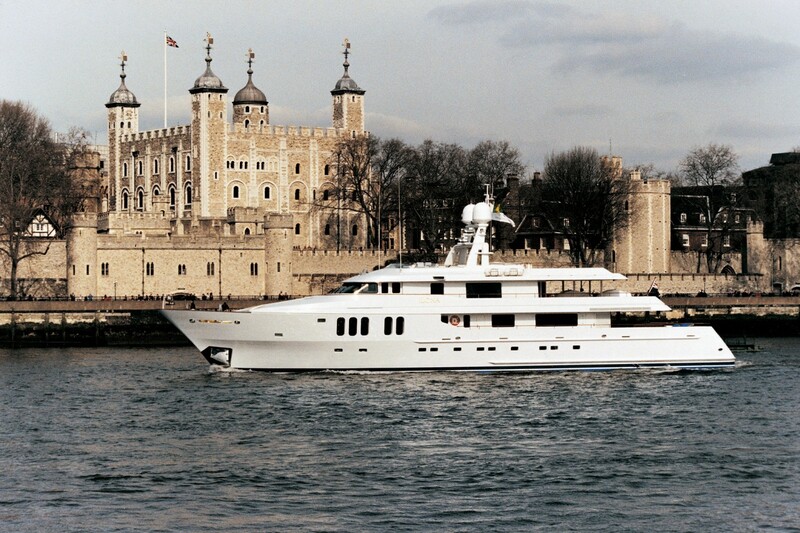 Motor yacht ILONKA is a 46 metre 150 (ft) large aluminium luxury yacht which was produced by Pendennis and designed by Dubois Naval Architects. 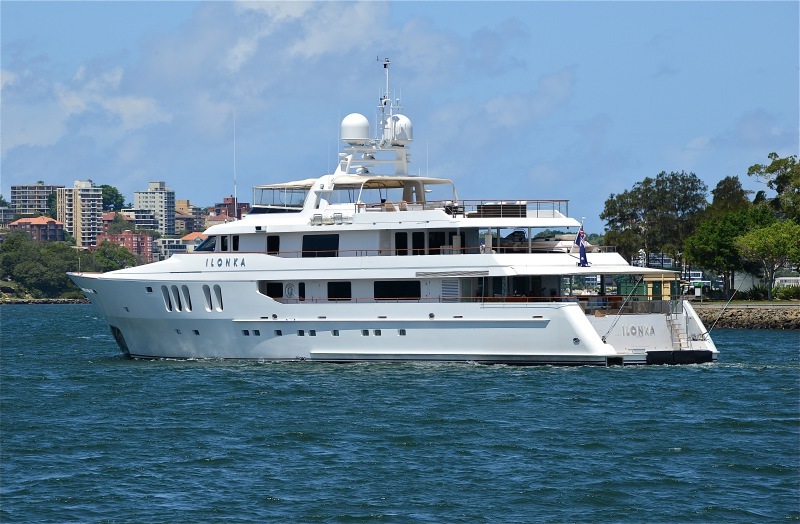 Accommodating 12 guests in 7 cabins as well as 11 qualified crew, motor yacht ILONKA is ex 33 Ilona; Christine; Serena M which was her project name. 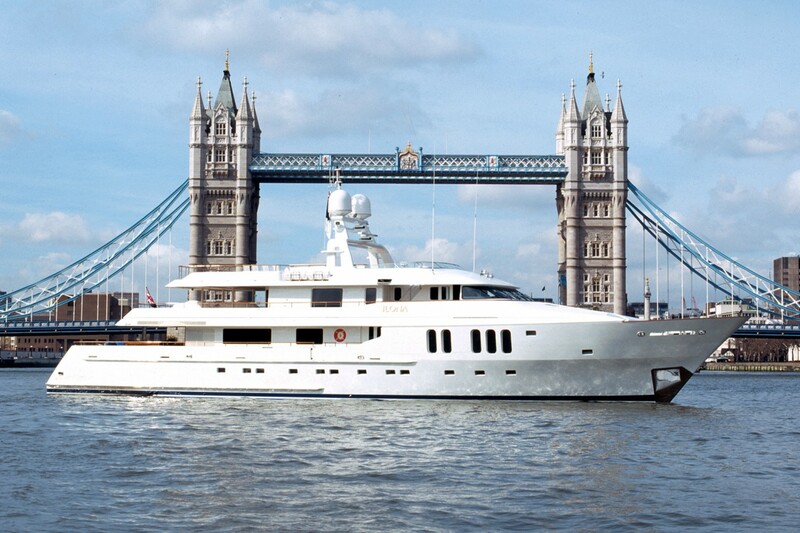 ILONKA'S NOTABLE FEATURES: Helicopter landing pad ~ Fitness centre ~ Spa ~ Stabilisers. 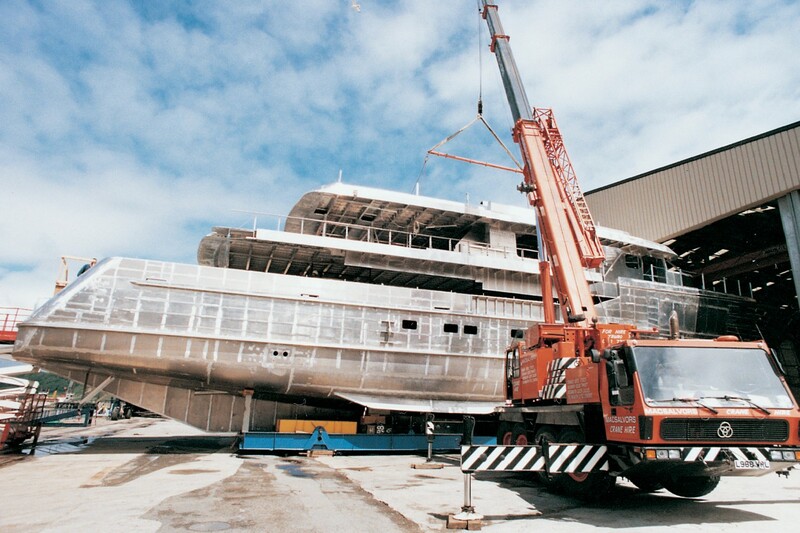 ILONKA was a significant custom build for Pendennis at the time, being the first luxury motor yacht to be built at the yard. 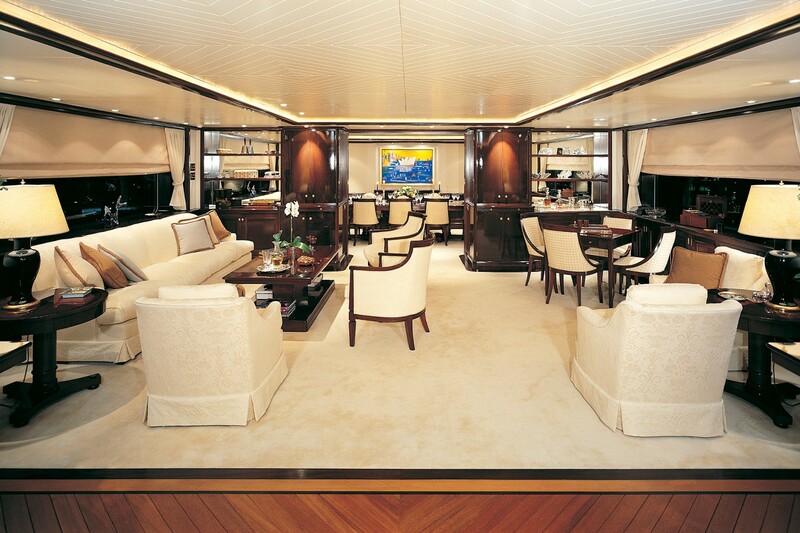 Her modern interior design promulgates the design know how of Redman Whiteley Design of London. 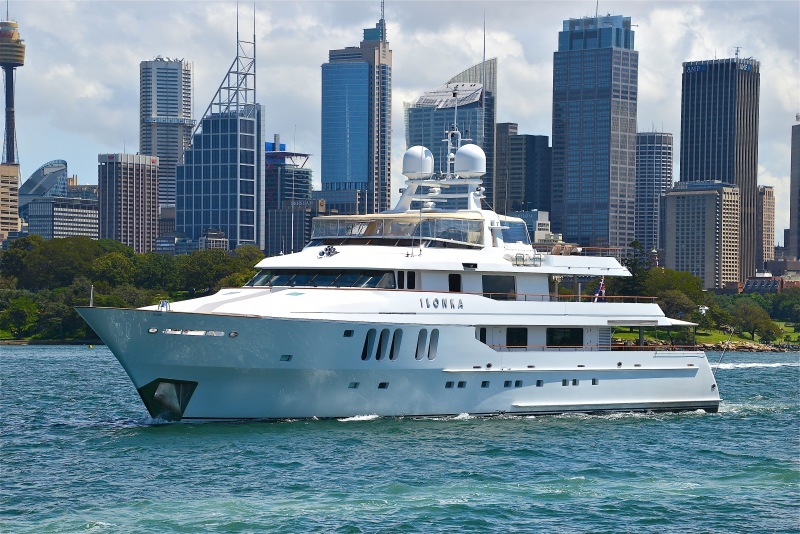 Dubois Naval Architects was the naval architect involved in the formal nautical composition for ILONKA. 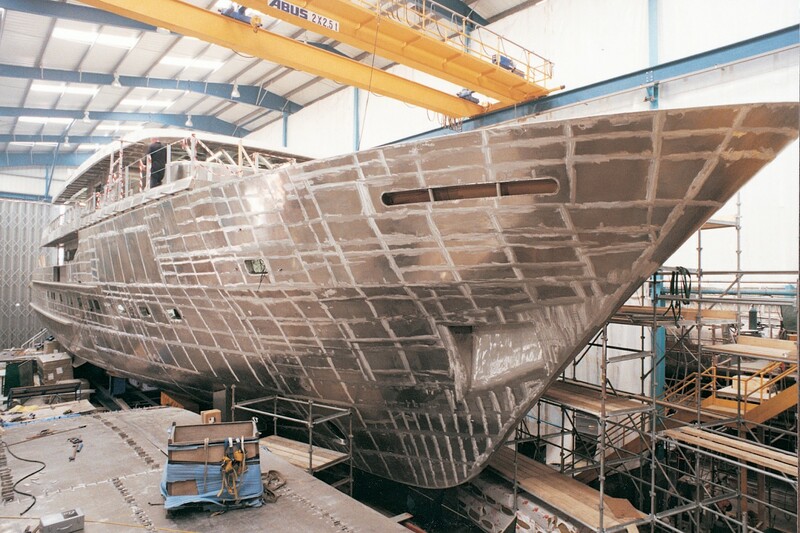 After official launch in 1999 in Falmouth, the boat was afterwards released to the happy owner having completed final finishing. 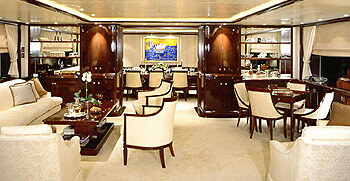 She had refit maintenance and alteration work undertaken in 2005 and 2008. 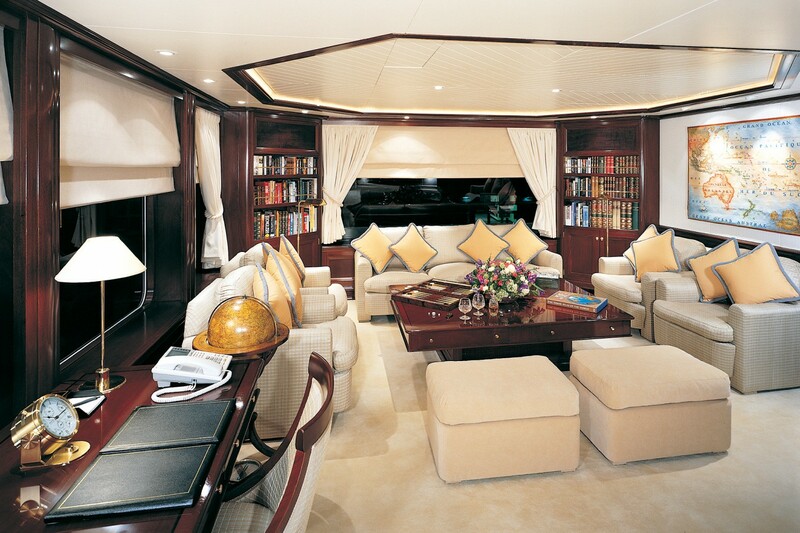 Her layout gives an incredible impression of space, with very generous sized windows, unusual for a yacht of her size. 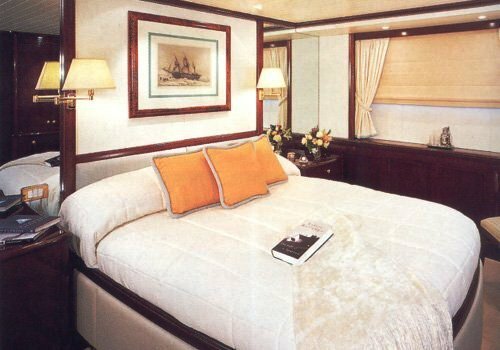 She has, for instance, six guest staterooms, each incorporating en-suite shower rooms and finished in verde Rajahstan marble. 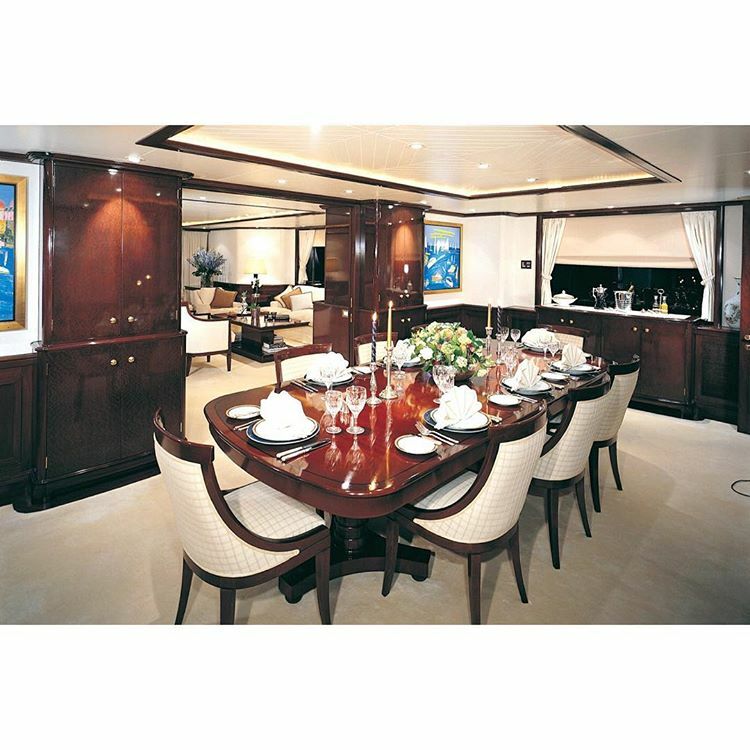 Other features in the interior include mahogany paneling to the dado rail combined with pale fabrics and carpets and mahogany briar furnishings. 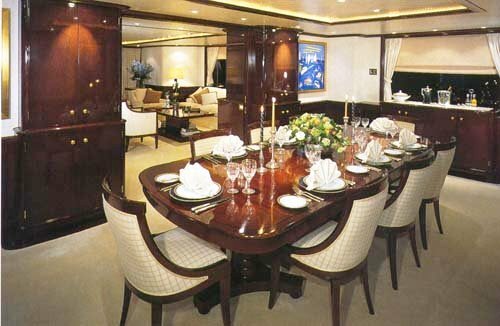 The overall impression is of calm sophistication and spacious luxury. 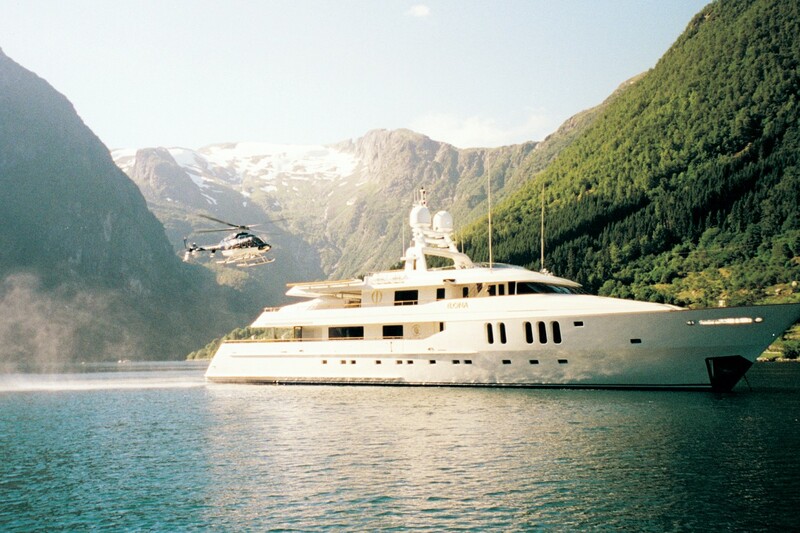 She also features a helicopter landing pad equipped with refueling capability, fitness centre and a top-deck spa bath. 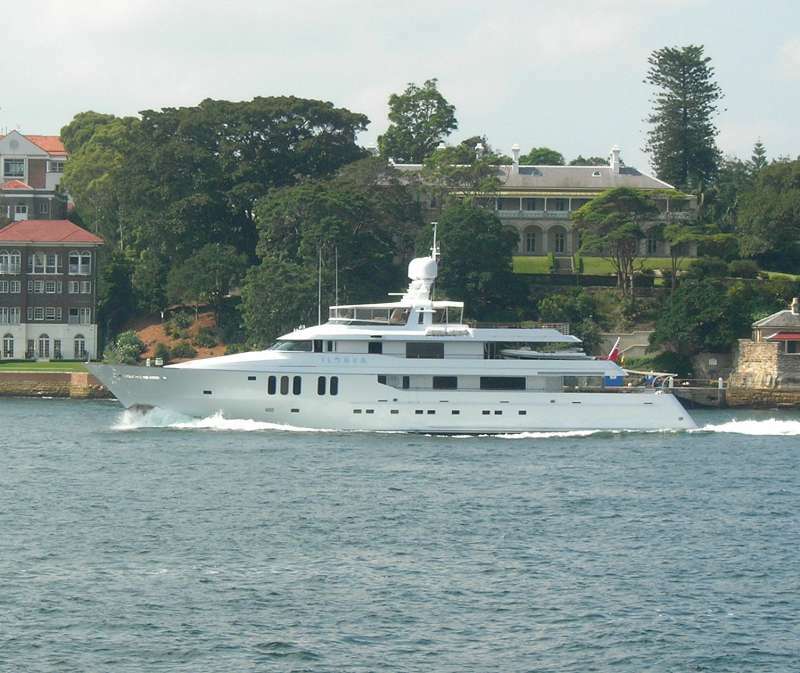 In 2005 ILONKA revisited Pendennis to carry out a three-month refit program before departing for charter market in the Caribbean. 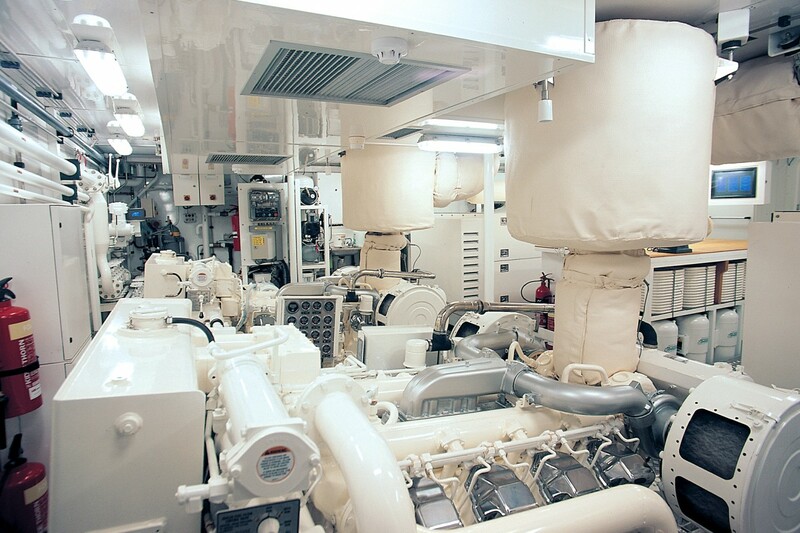 Her refit schedule included a full hull repaint, upgrades to her communications and entertainment systems and an overhaul of both her generators and engines. 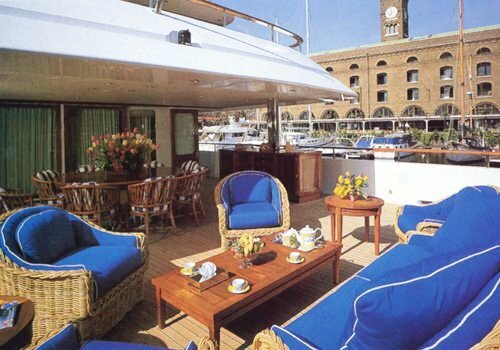 She was fitted with new deck furniture on her teak decks, renewed varnish on the main deck & around the rails, all carpets were changed by the original firm, which fitted out the yacht originally, window treatments were refreshed and all guests’ cabins were given further attention. 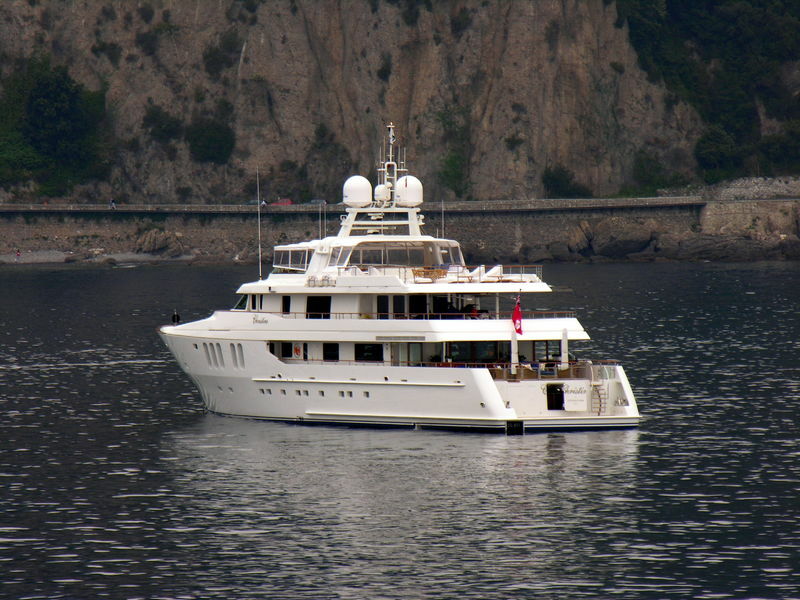 There were improvements to motor yacht Christine’s communications and onboard networks too which means that guests have broadband available either via network cables to every cabin or wireless if they prefer. 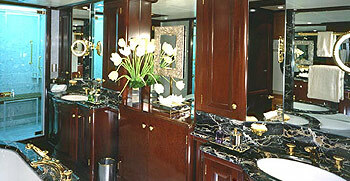 There is a hi-definition wide screen TV with surround sound in both the Master stateroom and in the saloon too. 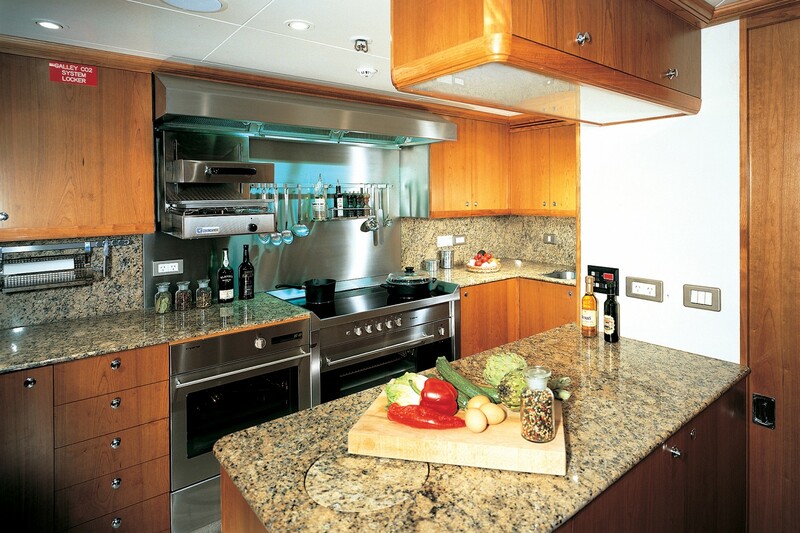 There was also an improvement in the yachts sound system on the sundeck with new/better speakers & amps. 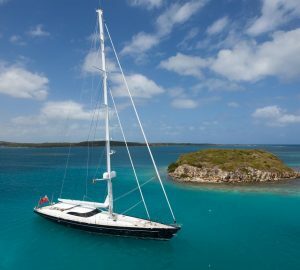 The following mechanical improvements were also undertaken: Stabilizers - noise reduction, Spa Pool – overhauled, 2 tenders – overhauled, Refrigeration – overhauled, brand new shafts and running gear which means that the boat is smoother, quieter and faster. 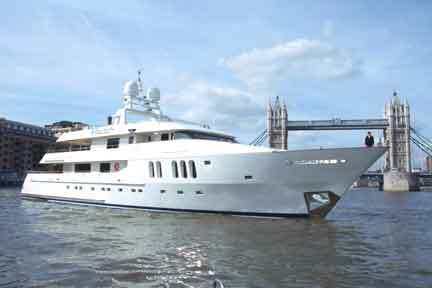 With a width of 9.51 metres or 31.2 ft ILONKA has spacious size. 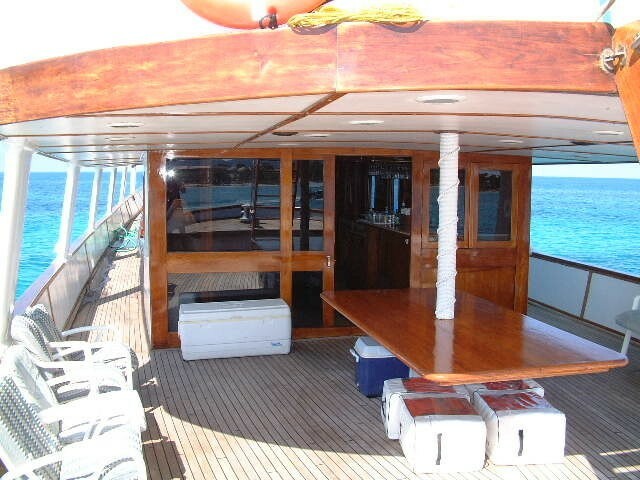 She has a fairly shallow draught of 2.68m (8.8ft). 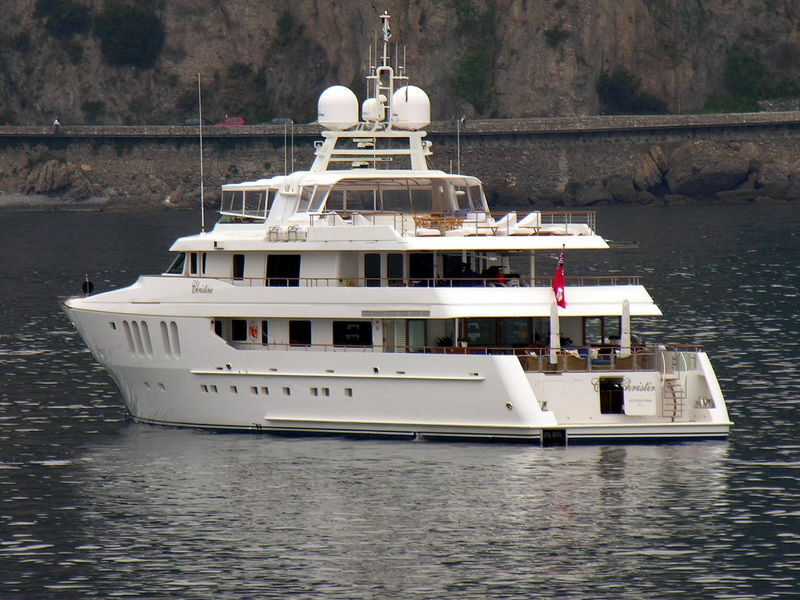 Fitted with twin CATERPILLAR diesel main engines, ILONKA is able to reach a maximum speed of 16 knots. 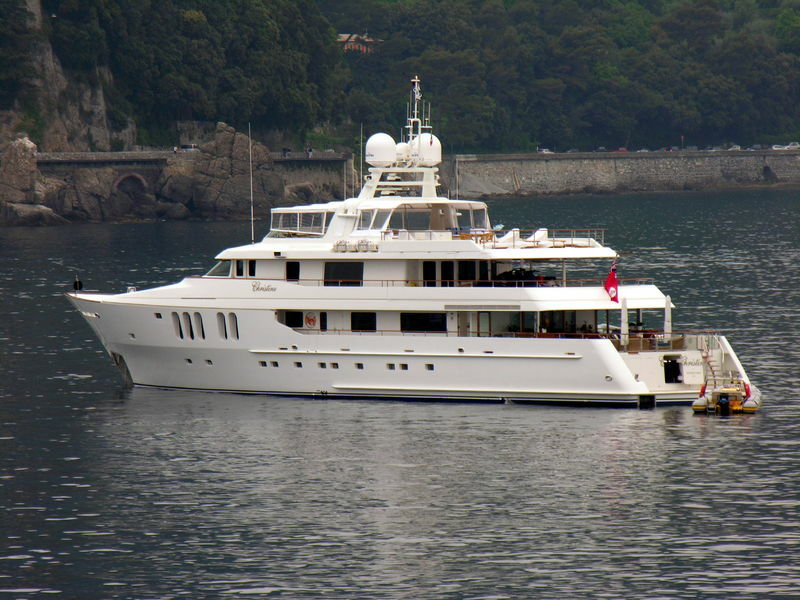 She is driven by twin screw propellers. 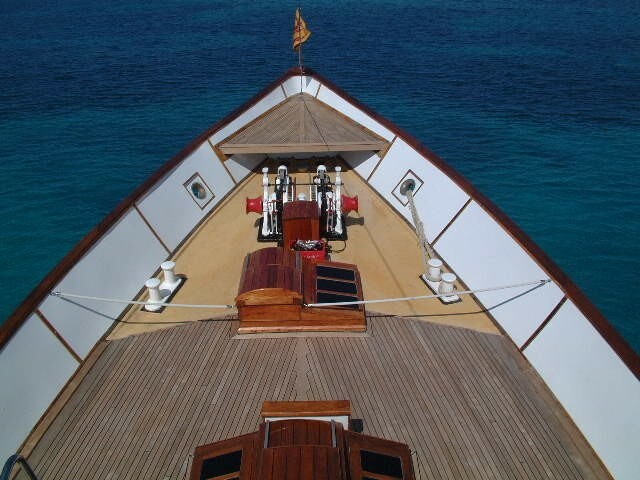 She also has an efficient range of 6000 nautical miles whilst motoring at her cruise speed of 14 knots. 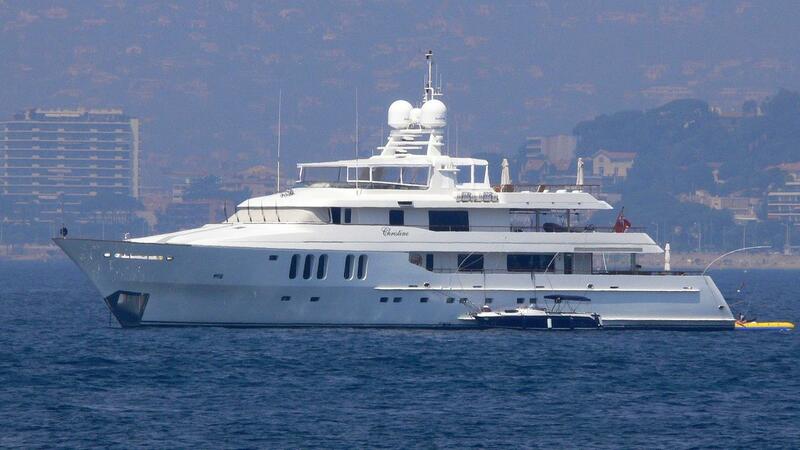 Her total HP is 1920 HP and her total Kilowatts are 1413. 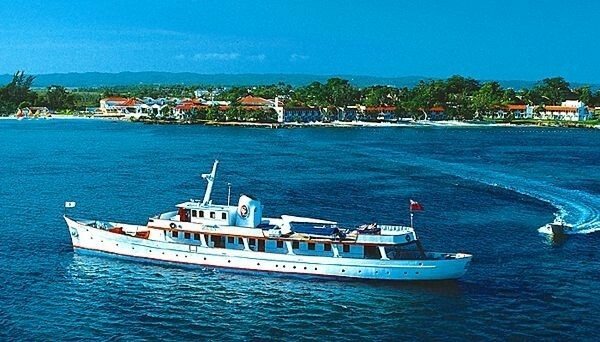 She was built with Koopnautic bow thrusters and stabilisers. 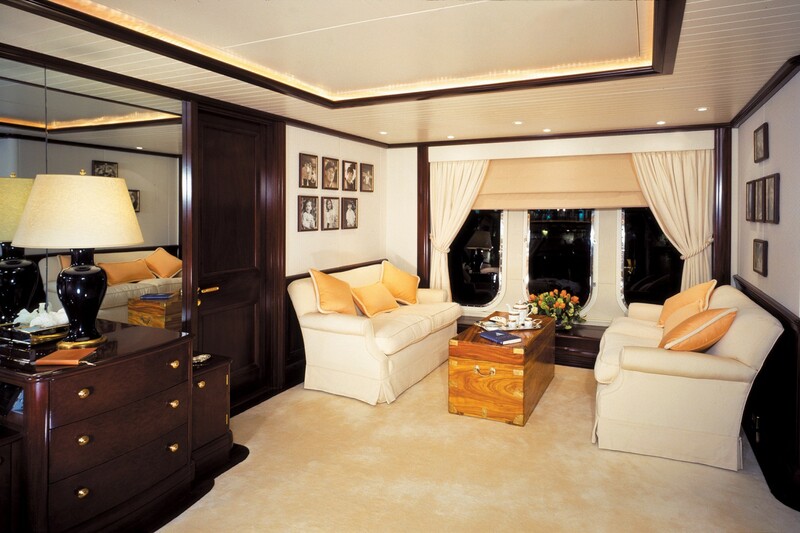 ILONKA provides yacht charter accommodation for up to twelve guests in six fully ensuited staterooms. 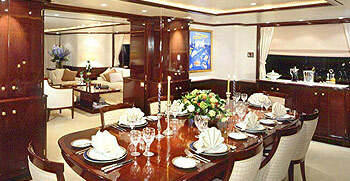 A seventh stateroom is also available for personal staff. 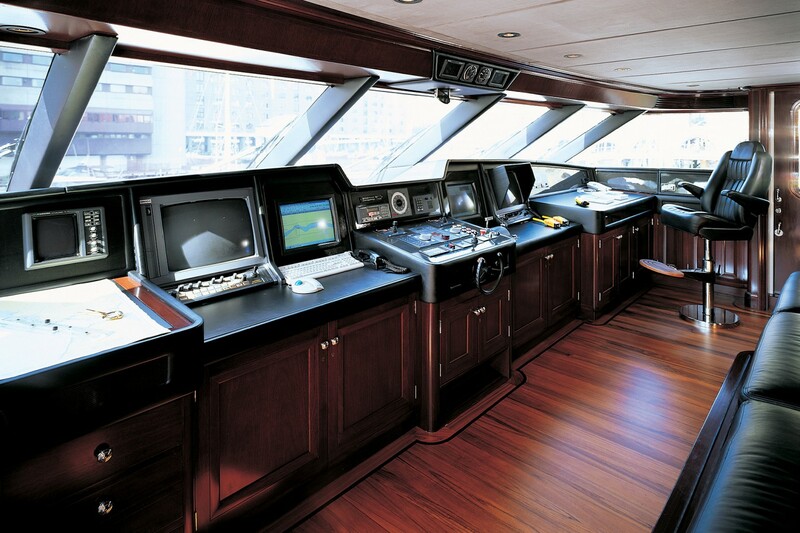 The yacht is run by an American captain and 10 crew members, each of which are professionals dedicated to providing the highest possible level of service. 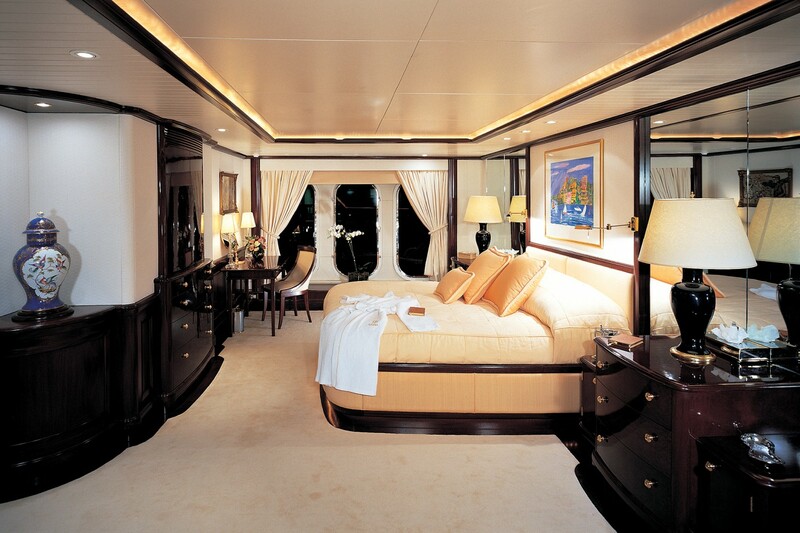 Christine’s master suite offers a queen sized bed with full-width ensuite bathroom with shower and Spa Pool tub, dressing room and separate office. 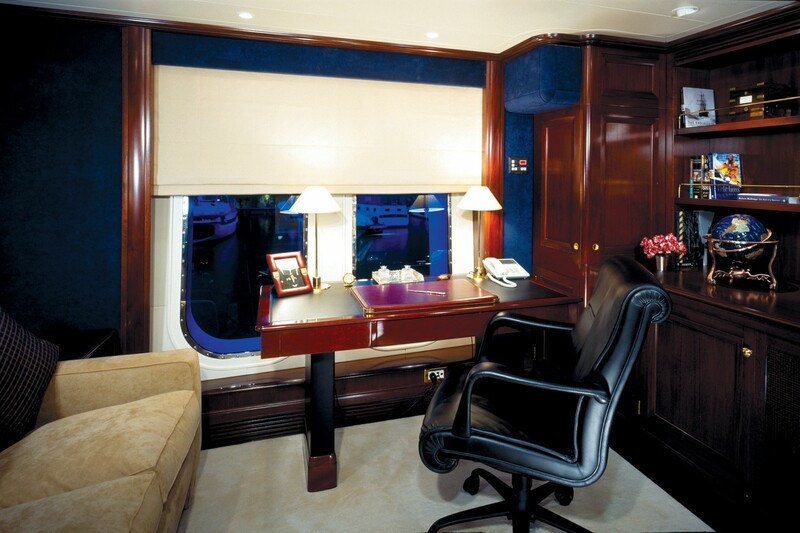 There are a further four queen bedded guests cabins, one guest cabin with one small double and one single bed, and one supernumerary cabin with small double and pullman bunk. 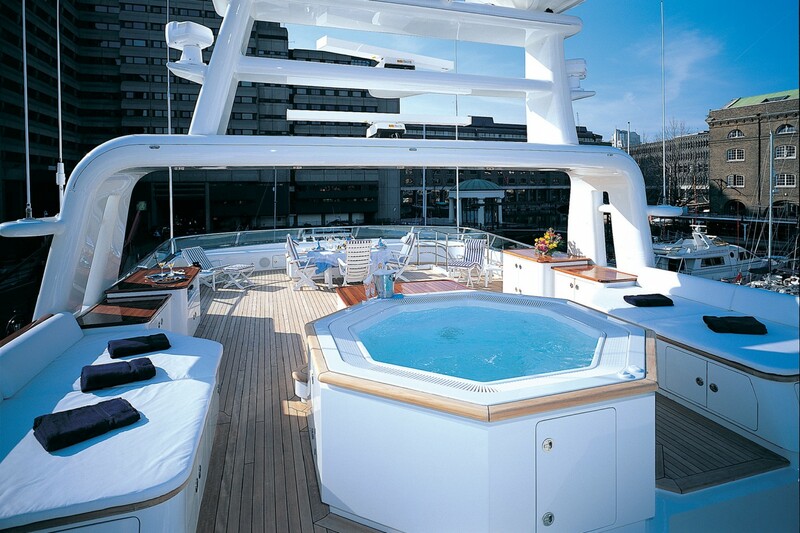 ILONKA provides a comprehensive inventory of amenities and extras also similar to that of a larger yacht. 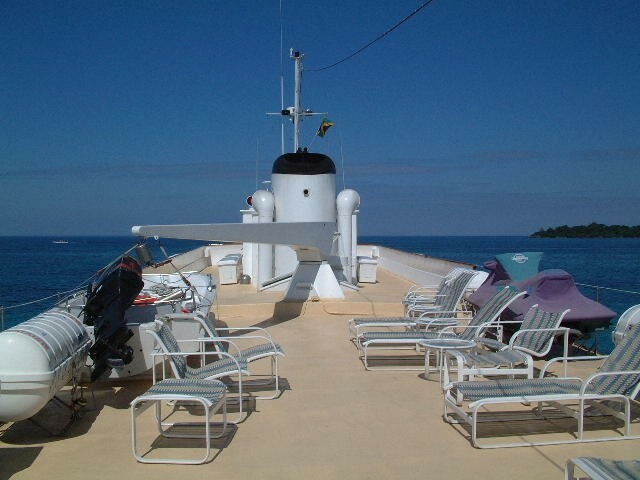 These include a helicopter pad, gym, superior electronic entertainment systems, outdoor top deck Spa Pool tub on the sun deck and a 26' Nimbus rigid hull tender with a 350 hp inboard diesel engine, a 5 meter Nouvurania tender, 2 x Yamaha XL 1200 wave runners, various Water-skis, a Wakeboard, Snorkeling and Rendez-vous diving. 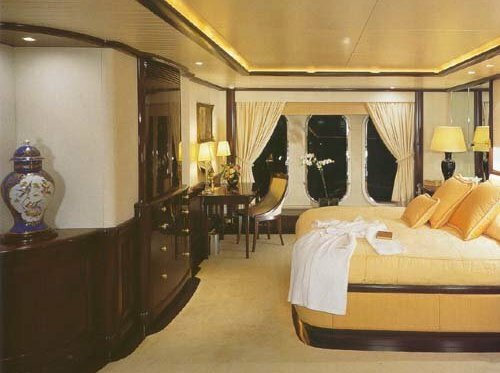 There is a Home cinema system, library with surround sound, projection screen and Crestron control panel, Sat TV & DVD in each stateroom. 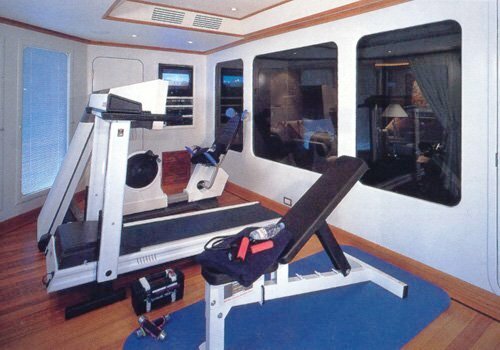 She is also fully equipped with a gym on the bridge deck and boasts full air-conditioning.